The `nihonjinron' is a body of writing and thought which constitutes a major and highly thought of academic industry in Japan. It analyses the Japanese identity and presupposes that the Japanese differ radically from other people in their make-up. It believes that their uniqueness is due to linguistic, sociological and philosophical differences. 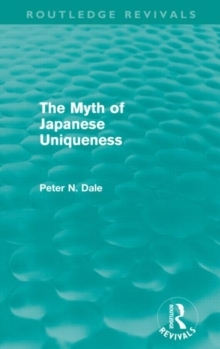 First published in 1988, this book is a critical analysis of the thought on which the `nihonjinron' is based. 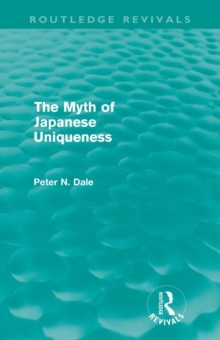 Placing particular emphasis upon psychoanalysis, which constitutes the centrepiece of the book, Peter Dale reasons that the `nihonjinron' should be treated as a mythological system.